Suzuki Motorcycle India has launched the 2019 Suzuki V-Strom 650 XT in India, priced at INR 7.46 lakh (ex-showroom, New Delhi). The 2019 Suzuki V-Strom 650 XT features new graphics, hazard lights and side reflectors. We have received an overwhelming response since the launch of Suzuki V-Strom 650 XT last year, we wish to continue the momentum and win the hearts of our customer in 2019 as well. We are delighted to introduce the 2019 edition of Suzuki V-Strom 650 XT which comes in added with features and will add to the attractiveness of this very capable motorcycle. Internationally the V-Strom 650 is available in two variants – Standard and XT. The 650 XT comes equipped with dual-purpose tubeless tyres, and aluminium wire spoke rims. The V-Strom 650 XT is imported into the country via the CKD route and is assembled at Suzuki’s facility in Gurgaon, Haryana. 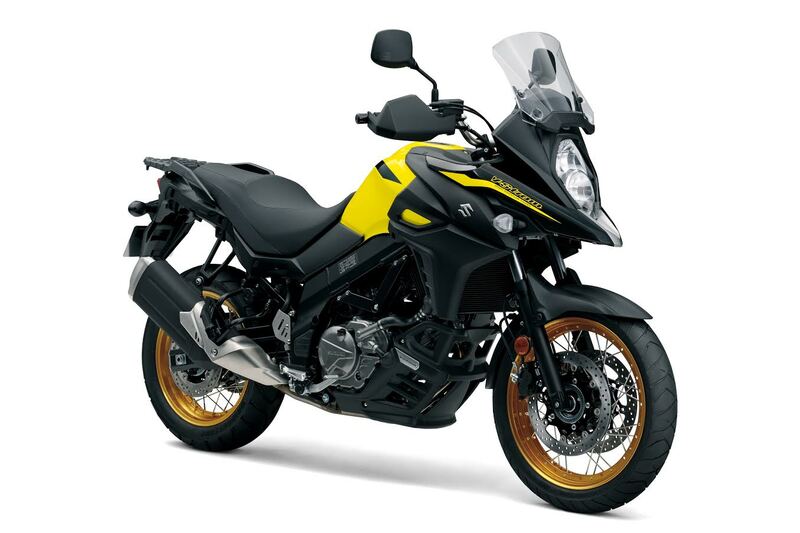 Customers can book the V-Strom 650 XT for an amount of INR 50,000. The motorcycle competes with the Kawasaki Versys 650 and the SWM Superdual T.
Powering the Suzuki V-Strom 650 XT is a 645cc, liquid-cooled, DOHC 90° V-twin engine that produces 70 bhp of power at 8,800 rpm and 62 Nm of peak torque at 6,500 rpm. A 6-speed gearbox transfers drive to the wheel. The motorcycle has a claimed fuel-economy of 24.3 km/l. 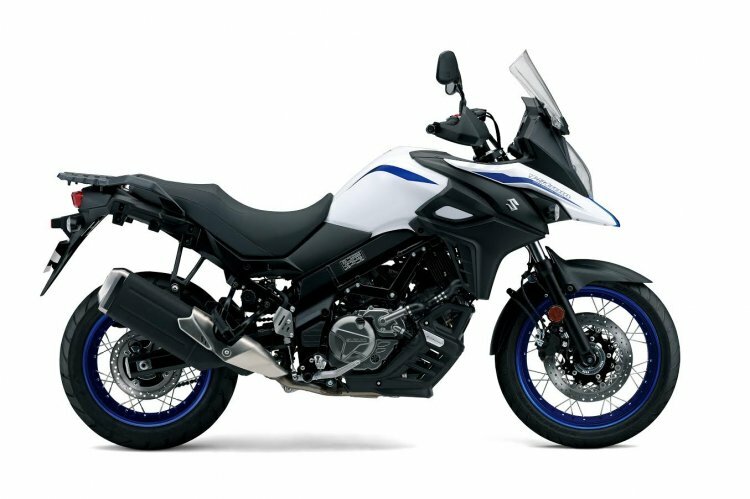 The 2019 Suzuki V-Strom 650 XT competes with the Kawasaki Versys 650 and the SWM Superdual 650 T.
The Suzuki V-Strom 650 XT comes equipped with dual-channel ABS and traction control system with three modes as standard. The motorcycle also comes equipped with two riding-modes, Suzuki Easy Start system, and a low-rpm assist.